As if there isn’t enough to do this weekend!!!! Here is another option which will satisfy your foodie tummy and maybe your artsy soul. There are probably other art things going on this far into the future but I just wanted to mention this one because it highlights works by Mr. Woodland and Patrick Hartl. Nothing like a big bit of urban art to make you want popcorn? 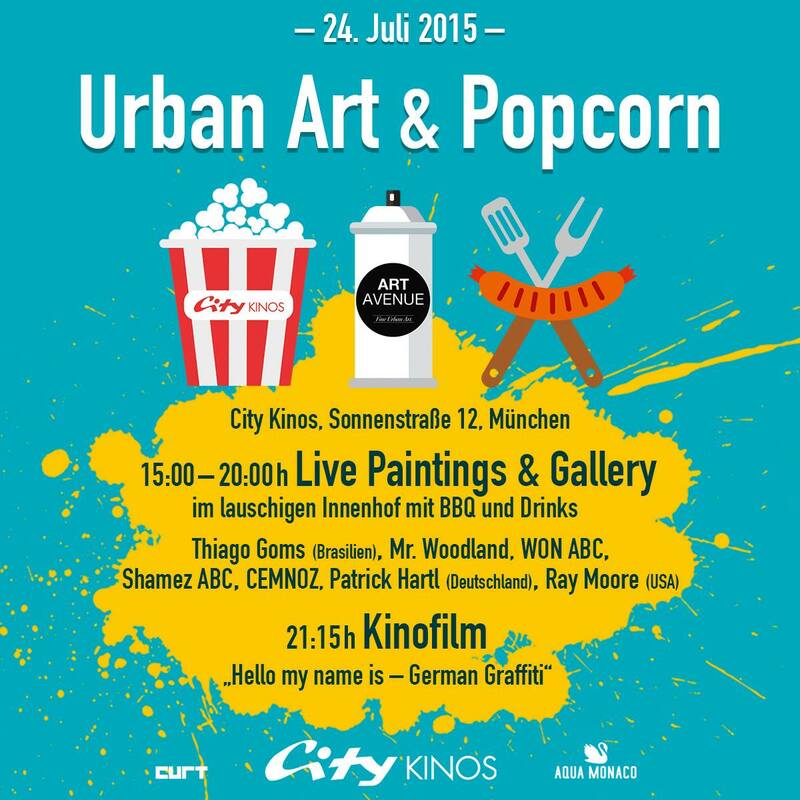 I can’t eat popcorn so I will be there just for the art and to see the movie “Hello, my name is – German Graffiti” and maybe a hotdog and maybe a hug from Ray Moore.